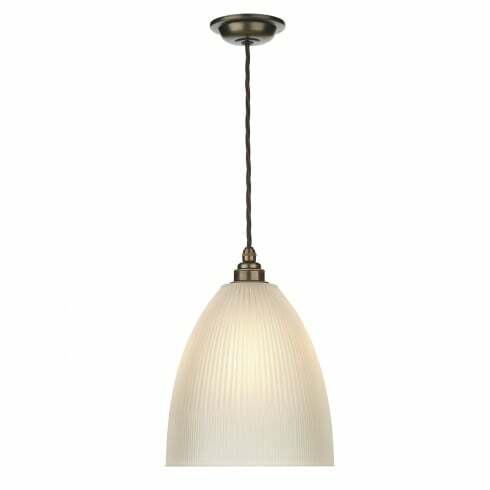 David Hunt Duxford single light ceiling pendant features an antique brass circular ceiling plate with brown braided cable. This British made beautiful pendant with its vintage antique brass lampholder and shade ring along with textured satin glass shade is a perfect lighting solution to any modern or traditional setting. The product code for this David Hunt is DUX0175. David Hunt also offer this exquisite pendant in a polished chrome and nickel finish which is product code: DUX0150 available to order from our website.